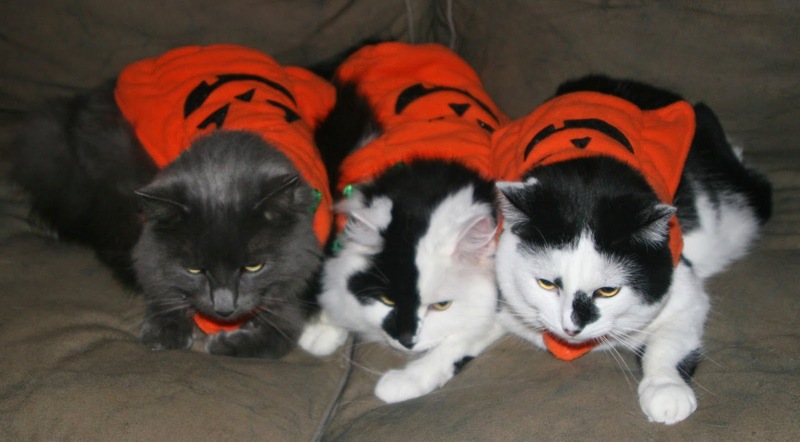 Today is the third anniversary of the Halloweener cats coming into our home. Trick (far left) and Treat (in the middle) joined Teddy and Kitty Carlisle in our little family. Kitty Carlisle is far too dignified to dress up! Even thought they were supposed to go to the kitty jail and be put up for adoption, they somehow prevailed in joining the family. They have been fun! Felines! They always prevail, don't they? They are pretty cute!